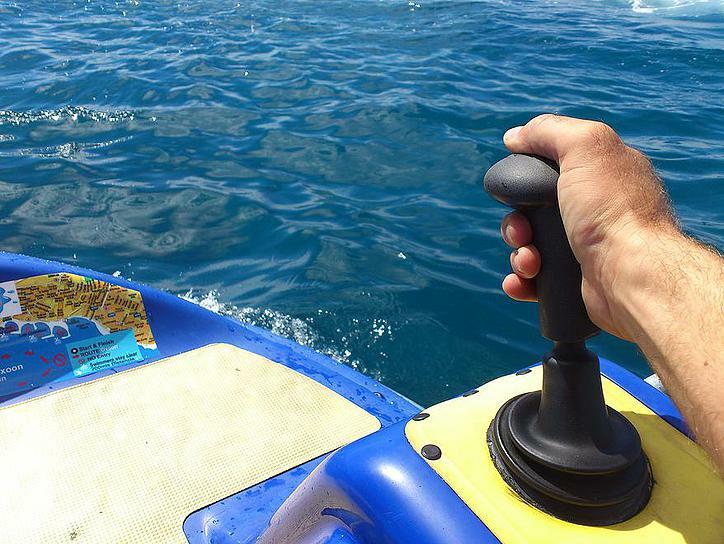 Water Sports and Fun in Tenerife. WARNING! Water Buggy rental in Tenerife temporarily is NOT AVAILABLE till this notice willl disappear! Make your own adventure, drive with the joystick control, children can drive, safe and easy to use to everyone. Hire a Water Buggy, go and see dolphins by yourself from a closer distance. It is easy, safe and everybody can use it, from litle kids to adults, and we provide life jackets and and a monitor who will check on you all the time from a zodiak. The Water Buggy can hold 2 Adults and 1 Child. Rent a WATER BUGGY and start your own tour from Las Americas every day between 10:00 AM and 03:30 PM. In order to make your booking of WATER BUGGY Rental Fun boat Rental Tenerife easy and comfortable Tenerife Host use the most advanced and user friendly booking platform TripsPoint.com where you can easily check last actual prices, the tour availability, required booking deposit and book this tour. To get more information of WATER BUGGY Rental Fun boat Rental Tenerife and do booking, please, click the button ‘Book Now’. You will be taken to the tour page at TripsPoint.com where you can easily book the tour. 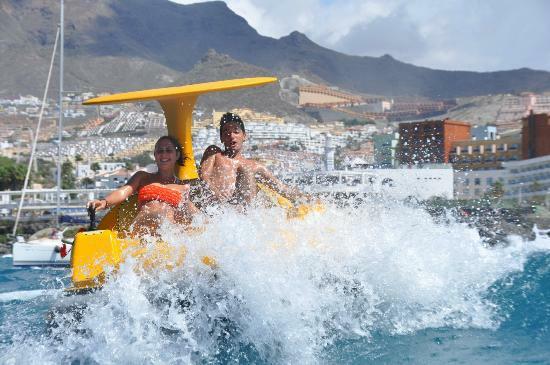 Once the booking of WATER BUGGY Rental Fun boat Rental Tenerife made at TripsPoint you will get your tour Voucher / booking confirmation with all details, including exact pick-up point with pick-up time and map.